At Maui High School, learning is not limited to the classroom. On occasion, students and student organizations travel off-island to supplement their in-class education or to compete against other schools. In 2018, Maui High School’s Pacific Asian Affairs Council (PAAC) will visit the Philippines during spring break. PAAC helps increase a greater knowledge and understanding of foreign affairs issues with special attention to Hawai‘i’s role in the Asia-Pacific Area. PAAC chose the Philippines as a destination because of its culture and location, which allows the United States to have a presence in Asia. Axl Reitz Daguio, a current member of PAAC, said “I was only introduced to the lifestyle of my town and recently I was able to discover a different culture of another region in the Philippines.” Daguio added that being able to see different cultures of his own is always fascinating. 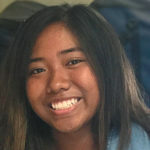 Another student organization planning an upcoming trip is the Maui High School Marching Band under the direction of Kerry Wasano and assistant director Kristin Tanaka. 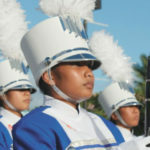 Comprised of approximately one hundred twenty members, the Saber Marching Band plays an integral role in sustaining Maui High School’s pride and spirit. On January 1, 2015, the Saber Marching Band participated in the 126th Annual Tournament of Roses Parade in Pasadena, California. The Saber Marching Band is the only high school band from Maui to participate in a Tournament of Roses parade. Next month, the Maui High School Marching Band will travel to Indianapolis, Indiana to compete in the Bands of America Grand National Championships. Maui High School is one of a hundred bands from across the country invited to the competition. As with the Tournament of Roses parade, band members need to raise funds (over $3,200 each) to offset travel expenses. Band members have been engaged in fund raising through Snap Raise, where members send emails to people or businesses asking for donations. The Saber Marching Band will also raise funds at the Maui Fair, selling chili plates. Donations to the Maui High Band Booster Club are accepted online at www.mauihighband.org. The Saber Marching Band members have high expectations; they will all have life lessons and experiences that will remain with them for the rest of their lives. 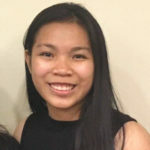 Freshman Angeline Cayetano who is in the Color Guard says “What I expect to learn from this trip is when I walk off the field I know that I performed good and gave my 100% effort.” Meanwhile, senior Chelsea Corpuz, also in the Color Guard, has a different perspective for this trip: “I expect to learn how to be independent because this will be my first time traveling to the mainland without my family.” Corpuz will also perform her heart out and leave the field with no regrets. The Band of America competition will be Katrina Mae Tolentino’s third band competition. The junior, who plays the clarinet, says “It is an honor for me to perform on a field where professionals perform with friends that I would have never guessed to be friends with.” She added that with this competition, she would like to become a better musician and a better leader and her character as an individual. Band members didn’t just join band because they wanted to, but because they wanted to share their passion with everyone. 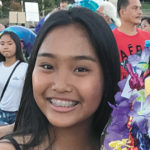 “I joined band because watching the previous band members perform on the field drew me into this amazing program” said Taysia Aspili, a junior in Color Guard and the Vice President for the Maui High School Marching band. Aspili also added that she has established unbreakable bonds and learned lots of valuable lessons. Google® Is Not Everything is a monthly column authored by high school students. The title of the column emphasizes that education is more than just googling a topic. Google® is a registered trademark. 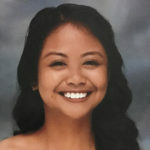 This month’s guest columnist is Rose Anne Rafael, a senior at Maui High School. She is the Director of Communication of the Health Occupations Students of America (HOSA) at Maui High. 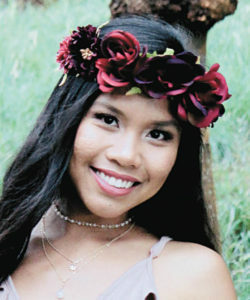 Rose Anne is an Advance Via Individual Determination (AVID) student at Maui High School and is interested in becoming a nurse anesthetist or neonatal nurse. She is also one of the Filipino folk dancers for Good Shepherd Episcopal Church. Rose Anne is the daughter of Rexon Rafael and Ailyn Rafael. With the Maui High School Marching band invited to compete in the Bands of America Grand National Championships in Indiana, it is very remarkable and amazing how these students manage to balance their academic and performance goals. Despite the heavy load of homework and their other daily activities, each band member manages to attend rehearsals and become motivated each day with the support of their friends, directors, and most importantly, their families. Even though they face many obstacles as students and band members, their motivation is each other and each march is another step to their goal.